Editor’s note: A version of this post originally appeared on Admitted in April 2015. It’s being republished as part of NACAC’s Best of the Blog series. All hail the humble highlighter. Neon markers are a vital part of Dana Lambert’s efforts to help students make the most of their National College Fair experience. The strategy gives students “a sense of ownership” in the college research process, said Lambert, who serves on the NACAC committee overseeing the New Jersey National College Fair. Schedule student meetings: At Lambert’s school, each junior — highlighter in hand — talks with a counselor prior to the fair. “It helps get them in the right mindset, and we use it as a way to make sure they are prepared to make the most out of the fair,” Lambert said. Promote workshops, counseling center: National College Fairs include workshop on various topics, including financial aid and student athlete eligibility. Each fair also includes a counseling center, oftentimes an invaluable resource for students with specialized majors, such as genetics or French horn performance. “There are resources available and there are people available who can help answer very individualized questions about the college search process,” Lambert said. 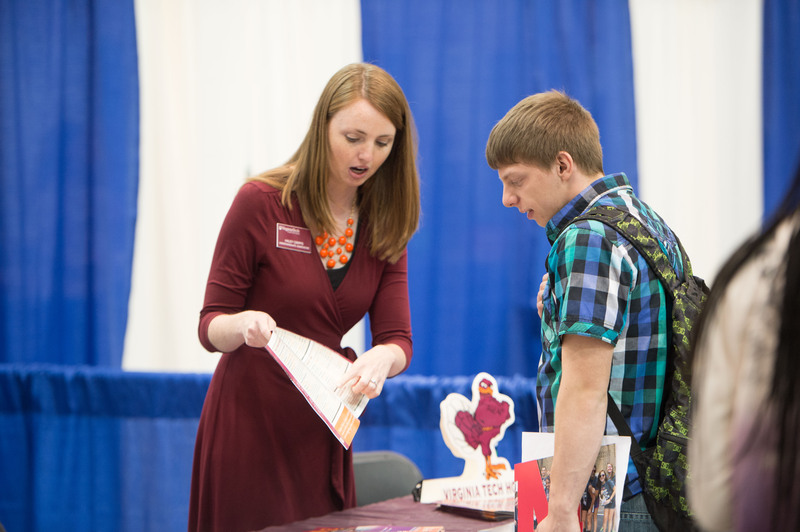 For more information about NACAC’s National College Fair program, visit nacacfairs.org and follow @nacacfairs on Twitter. Previous PostEngagement Key to Retaining Non-Traditional College StudentsNext PostTell Us: Is Your Institution Supporting Students Affected by Natural Disasters?